The Jura E8 Coffee Machine is the latest ‘one touch’ Machine for Home in the Jura Range. In addition to Smart Connect access via the Jura App, the Jura E8 is complete with P.E.P. Technology to create the perfect Espresso. The Jura E8 has the added benefit of a height-adjustable Micro-Foam Frother enabling you to produce a creamy Cappuccino, stunning Latte Macchiato or smooth Flat White at the touch of a button. With the inclusion of an advanced TFT Screen, tailoring your ideal Coffee speciality could not be easier. 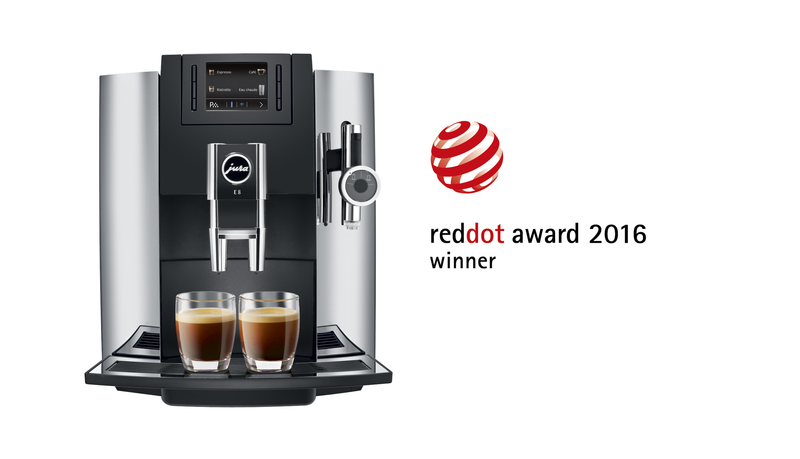 The Jura E8 can be easily customised to suit any Coffee Loving Household.